Ann Arbor Public Schools has been named to the Academic State Champs list published by Bridge Magazine. To determine the Academic State Champs, Bridge partnered with Public Sector Consultants, Inc. to develop a value-added ranking system that measures a school’s test scores adjusted for student family income, which is often a predictor of academic achievement. 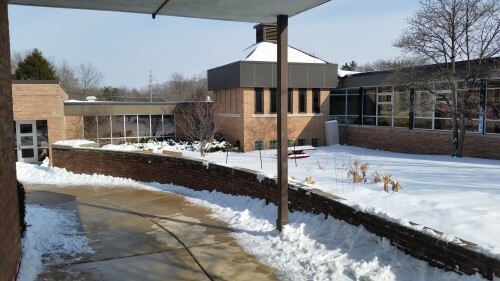 Currently, according to the Ann Arbor Public School enrollment data, one in five students arrives to Ann Arbor Public Schools each day from a home impacted by poverty. AAPS continues to focus on reducing achievement disparities across groups of students. The Bridge Magazine Report indicates that the Ann Arbor Public Schools are achieving significant progress in ‘changing the game’ for students in relation to their socioeconomic situation. AAPS commitment to provide a rich ‘whole child’ learning experience through exemplary arts and sciences, world languages, athletics and extra-curricular programs promotes high levels of student engagement in our schools. Bridge Magazine is Michigan’s leading nonpartisan, nonprofit, in-depth news service. It is published by The Center for Michigan. Read more about Academic State Champs at www.bridgemi.com. Allen Elementary is one the district’s 21 elementary schools.